Physic gardens have been around for hundreds of years and are nothing new. They are collections of medicinal healing plants traditionally grown by physicians and monks. In fact, some of the earliest physic gardens recorded date back to the year 1334! The good news is that growing your own medicinal garden isn’t hard. By investing a little time into your garden, you will have the organic natural supplies to create your own healing teas, infusions, and balms. Now before growing your medicinal plants, it’s good to know whether they are annual, perennial, or biennial. 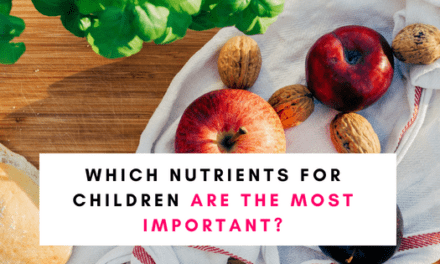 Why does this matter? Well because some plants will require planting every year and others will not! Annual – This means that the plant will need to be planted every year. Biennial – The plant will need to be replanted every two years. Perennial – The plant will continue to grow every year. So now that’s covered let’s move on to 8 medicinal plants to start off your physic garden. Chamomile is one of the most famous medicinal plants due to its wide variety of health properties. 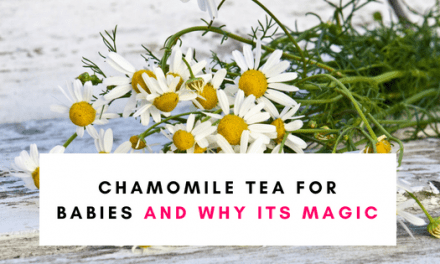 Use the flower heads from chamomile to make teas, infusions or even balms. 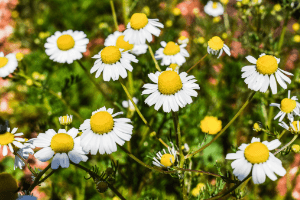 Chamomile plants are pretty fuss-free and grow well in plant zones 3-9 and do well in both partial shade or full sun. They are also drought tolerant. You can also grow chamomile indoors. There is so much more to this aromatic herb than looking and tasting good in a Caprese salad! 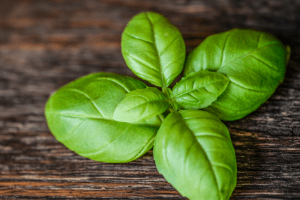 Basil is absolutely bursting with health benefits, some of which may even surprise you! Basil is super easy to grow and can easily be grown indoors or outside. Harvest the young leaves as needed. 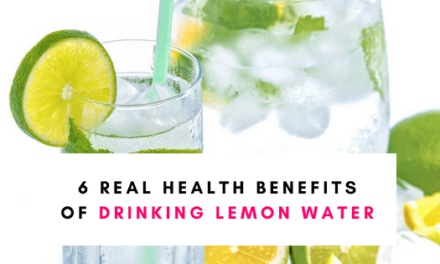 Lemon balm is related to the mint family and also has lots of medicinal properties to offer. From easing upset stomachs to reducing anxiety. Lemon balm can be grown both indoors and outside. It is a hardy perennial shrub that requires little attention. 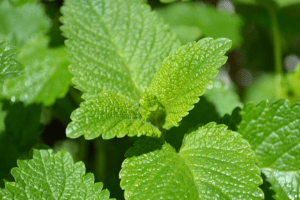 You can use lemon balm leaves as an when needed, but for medicinal purposes, it’s best to wait until the plant starts to flower. Got bad breath? Chew on some parsley! 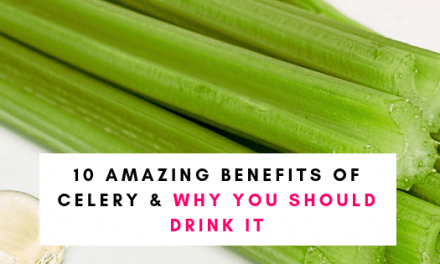 This kitchen staple has numerous health benefits that will make you want to eat more of it rather than using a small piece as decoration! 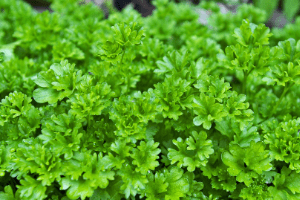 Parsley is a very easy herb to grow that doesn’t require a green thumb. Grow in your kitchen or garden. Sage’s genus name, Salvia, means “to heal” and has long been used for its medicinal properties. This evergreen is native to the Mediterranean and is excellent at healing throat infections. 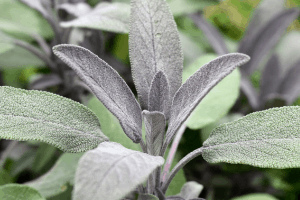 Sage is one of the easiest herbs to grow, and thrive in the ground, in pots, or indoors! This plant is also fuss-free. If planting indoors make sure it’s near a sunny window. Water when the soil is dry. Harvest sage just before flowers start to bloom. 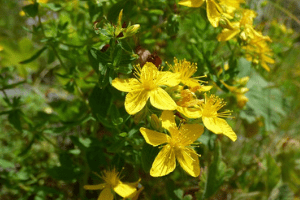 The herb St John’s Wort is famous for helping ease mild to moderate depression. However, it is always best to talk to your doctor first! This undemanding plant is easy to grow and produces beautiful yellow flowers. For medicinal purposes harvest the leaves, yellow flowers, and fresh buds. 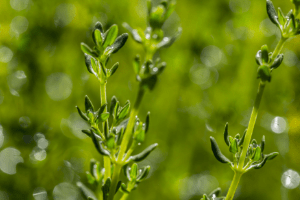 Thyme may taste fabulous with your Sunday roast, but this popular herb is also a strong antiseptic and is great at treating coughs and congestion! Plant thyme in well-drained soil with plenty of sunlight, either outdoors or by a sunny window. 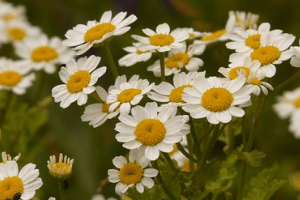 Feverfew is related to the daisy family and while it may look sweet it packs a powerful health punch! The leaves and flowers of feverfew are often used to make tea for a whole host of health issues. Plant in well-draining soil, in a sunny location. 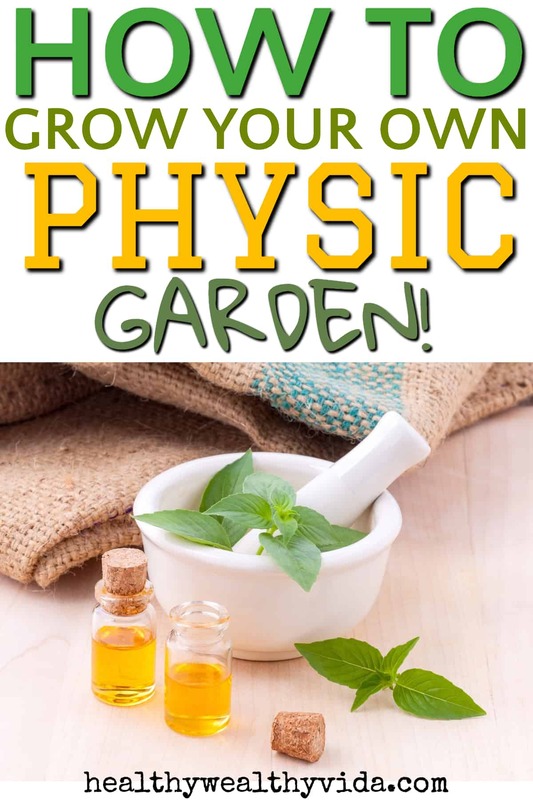 So there you have 8 easy to grow medicinal plants to start off your very own physic garden! Note: Always consult your doctor and/or a licensed herbalist before if you have any questions or to learn about any potential side effects. Already have a medicinal garden? Leave a comment with your favorite plant!